The Dominican Republic is plagued by societal challenges—much of which stem from the breakdown of moral values and its attendant breakup of the family unit. Scientology Network premieres its third season at 8 p.m. on Monday, April 8 (check scientology.tv/season3 for the day/time in your local time zone) with more than 60 new episodes of programming showing every aspect of the world’s youngest major religion and its global humanitarian mission. As a boy, Lars Najbjerg always knew he was destined to take to the skies. Bangladesh is already facing permanent geographical alterations due to climate change. The travels and conversations of artist, educator, activist and great-grandmother Edythe “Edy” Boone were filmed by documentarian Marlene “Mo” Morris in an exploration of the artist’s life and passions. Every year, Pam Ryan-Anderson works to create a Winter Wonderland—complete with “snow”—in the Sunshine State. A young Rwandan anti-genocide activist and a renowned Holocaust historian teamed up to travel across 15 countries and three continents, interviewing survivors and descendants of 13 diplomats who, during World War II, helped rescue tens of thousands of Jewish people from Nazi death camps. The disturbing reality of “medical kidnapping” is a threat to every child in America. From the top of her bridge to the depths of her engine room, the Freewinds is a ship powered by purpose: to help create a better world. Humpback Whales, created by director Greg MacGillivray, follows the majestic creatures in the waters off Hawaii, Alaska and Tonga in the South Pacific, where the population had diminished to about 250 remaining humpbacks, before hunting was banned there in the 1970s. Known among her crew simply as “Boss Lady,” Stacy Sass operates a family business—fabricating steel for infrastructure projects across America. For generations it’s been the cultural hub of African-American and Caribbean life in the United States. Director Joshua Waletzky explores the Mariinsky Theater, which since 1860 has been home to some of mankind’s finest creations in music and dance. A stone’s throw away from St. Paul’s Cathedral, in the center of the City of London, there’s another historic building of religious importance—the Church of Scientology London. The Kids Menu takes a deadly serious topic and covers it in a playful, high-spirited manner. The documentary incorporates animation to bring home the message that healthful eating can be fun. Janice Storey and other residents of a small coastal town, sitting on a major drug trafficking route, take action. Drs. Rick and Vikki Petersen are a husband-and-wife team who have pioneered an integrative approach to medicine, going to the root causes of complex health problems. Oscar Arias: Without a Shot Fired, directed by Dawn Gifford Engle, is an extraordinary documentary on the life of the former two-time Costa Rican President, Nobel Peace Prize winner and lifetime human rights activist. With the number of drug addicts in India nearing 70 million, Vasu Yajnik-Setia spearheads a movement to combat the country-wide culture of drug use. Landscape designer, Terry Morrill, drifted from business to business, until he found his life’s purpose, creating exquisite natural sanctuaries. Bridge Publications was established for one purpose: to make these materials available to anyone, anywhere and in their native language. Letters from Generation Rx, narrated by Academy Award-winning actress Tilda Swinton, presents these personal stories and reveals the latest research on effects of anti-depressants on the brain. Harry “Doc” Wong is a Bay Area motorcycle-riding chiropractor who’s attained celebrity status among motorcycle enthusiasts as the man who turned his passion for riding blazing-fast motorcycles into a series of courses that have equipped thousands with the necessary skills to ride safely. Melbourne is one of the world’s most culturally diverse cities. It is also a city known for its coffee, food and as the sporting capital of the world. In Melbourne, sport is a religion that crosses all cultures and faiths. In this episode, INSIDE SCIENTOLOGY travels to the spiritual headquarters of the Church of Scientology in Clearwater, Florida. Now dubbed “Britain’s Schindler,” Sir Nicholas “Nicky” Winton saw children facing certain death at the hands of the Nazi regime on the eve of World War II in 1939. In a country with a history of corruption, drug abuse, crime, violence and terrorism, business strategy consultant Jorge De Tagle sees a solution after reading the book The Way to Happiness. Formerly vast swaths of citrus orchards and old Hollywood movie sets, today the San Fernando Valley has morphed into a land of aerospace pioneers, global entertainment giants and diverse, growing communities. Scientology’s humanitarian programs have reached more than half a billion people around the world. This documentary tells the improbable story of drawings created by Japanese children shortly after the devastating 1945 atomic bomb blast at Hiroshima. Over 190 billion dollars are spent every year in the U.S. on mental health. Seventeen million American children have been determined to be mentally ill.
Hailing from the land of the pyramids and journeying to the pinnacle of musical success, Hossam Ramzy is one of the world’s greatest percussionists, performing with the likes of Jimmy Page, Robert Plant and Peter Gabriel. Filmmaker J.R. Biersmith’s award-winning film, Men in the Arena, is the story of two Somalian teenagers, Saadiq and Sa’ad, bound by friendship and a dream to inspire youth in Somalia through soccer. Actress and model Sheena Chohan courageously uses her fame to raise awareness and fight for human rights in South Asia. Giulia Bartolini is an Italian water polo champ, but when she first dove into the sport, coaches told her she wasn’t cut out for the extremely demanding game. Minnesota’s crime rate is 88% higher than the national average. Nearly half the homeless population in the state is under 21. When documentarian Sarah Moshman saw a shortage of inspiring stories about real women achieving success in their fields, she decided to do something about it. 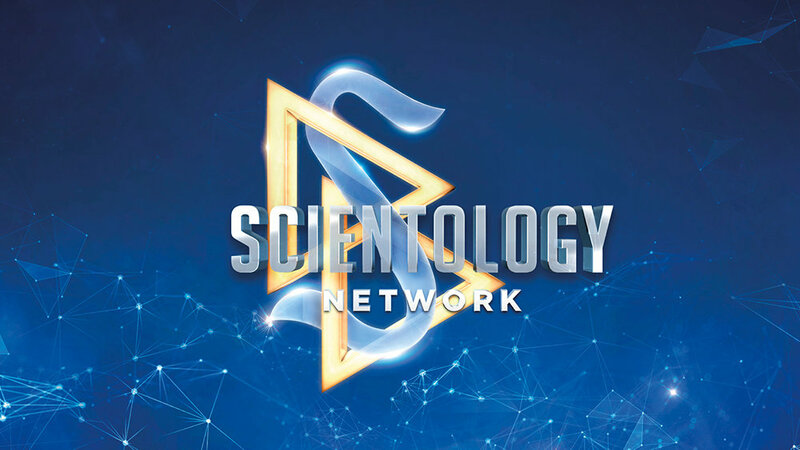 The Church of Scientology has launched its own television channel—the Scientology Network.